Tucked quietly within a covered carpark at West Coast Recreation Centre, Joyden Seafood is the revitalised brand of West Coast Seafood, more familiar with seafood lovers for those who reside in the West. To celebrate their 10th annivesary, Joyden also carried out a facelift of their existing restaurant and more importantly, the seafood-focused menu was revamped. With almost 80% of the menu being seafood dishes, the chefs retained their signatures and introduced some unique creations to impress existing and new customers. 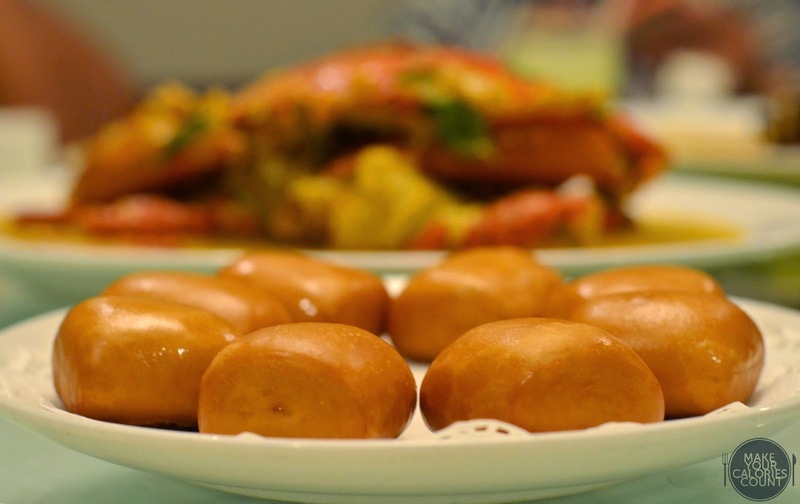 How can anyone resist local favourites such as deep fried mantous and crabs? With a typical Chinese restaurant setting in the form of a communal dining area, it was well-adorned with contemporary Chinese art pieces. For customers looking for extra privacy or simply to celebrate a family event, there are private rooms being offered at affordable rates. Expect to be greeted with some of these classic Chinese exhibits as you step into the restaurant. A brightly lit communal dining area that can house up to 160 guests. 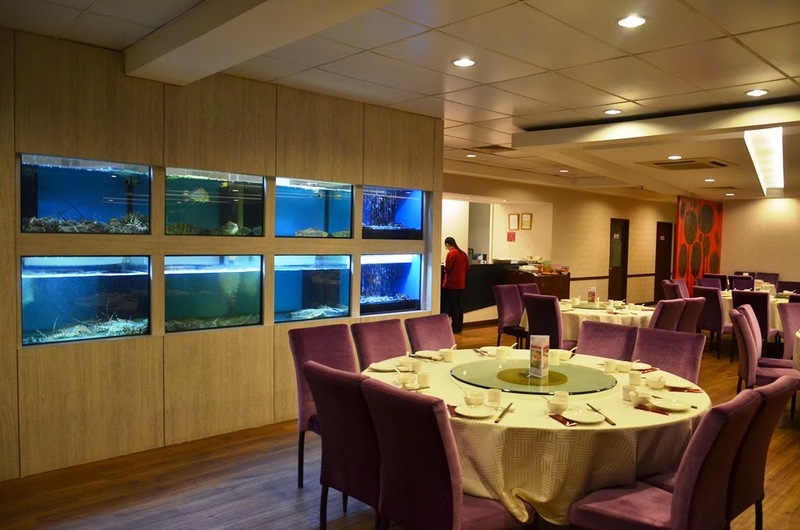 No Chinese restaurant is complete without the cornerstone glass tanks to showcase live seafood. Are you hungry to check out Joyden's range of seafood yet? We are! One of the unsung heroes, this plate of homemade Achar was a winner in my book of favourite appetisers. There was the crisp crunch from the peanuts and tang from the seasoned carrots and cucumbers. Perfect to whet one's appetite before the main courses! A classic Chinese dish when tucking in to a seafood meal but what differentiated this dish was the unique ingredients in the cereal mix. Apart from introducing shards of kaffir leaves, the addition of chilli padi and curry powder gave a twist and oomph to the otherwise traditional dish. We enjoyed the balance in flavours coming from the natural sweetness of the firm prawns, mild salinity and heat from the cereal mix. Available in three different sizes, starting from about 300 grams of prawns at S$22/++, it goes on to S$34/++ for 400 grams and S$46/++ for 500 grams. If you need any special orders such as having more prawns, Joyden would be more than happy to accommodate and prices are adjusted in accordance to weight. The lovely fragrance of the crustacean and the garlic greeted diners as the dish was served in a classic bamboo basket. 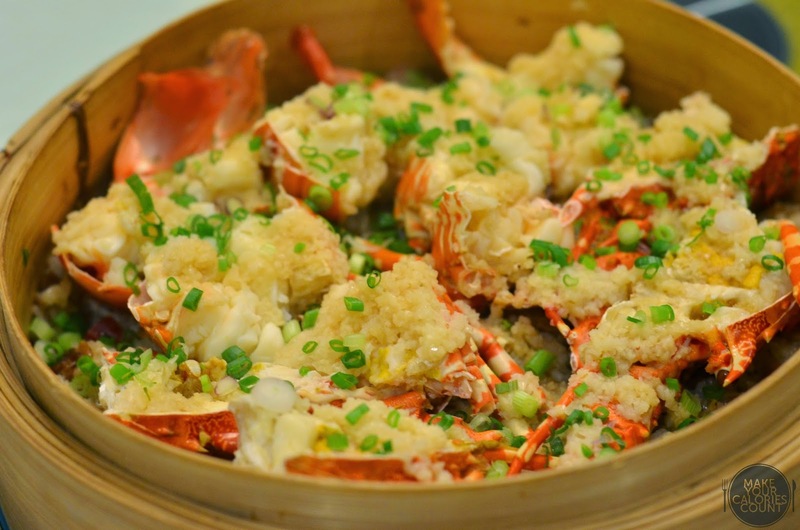 The generous amount of finely diced garlic was stir-fried before coating it over the live lobsters and steamed in the bamboo basket. This allowed the fragrant garlic to infuse the juices of the live crustacean which emanated during the steaming process. All the essence were captured by the bed of glutinous rice sitting underneath the lobsters which was packed with Chinese sausage, shallots and dried shrimps. 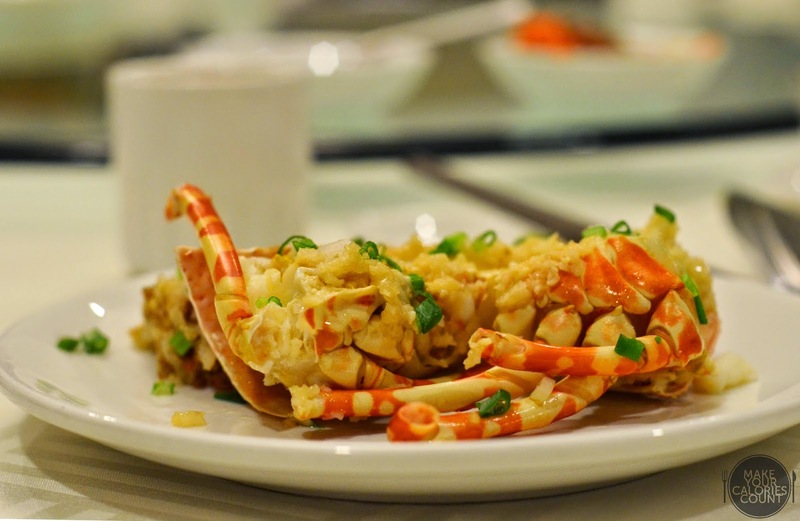 While the freshness of the lobsters was unparalleled, I found the glutinous rice slightly too damp for my preference though it was well-received by the diners at the table. In terms of flavours, it was rich and bold though you might want to have some mints ready at the end of the meal to combat the strong garlic aftertaste! With a love story behind the dish, the chefs at Joyden reinvented the dish with a modern twist with lemongrass pork ribs to complement the mashed yam which had been moulded into a ring, battered and deep-fried. The flavours were distinct with the fragrance of lemongrass though what set it apart was the grease-free yam. The basics to preparing the dish were spot-on, hot boiling boil and most importantly the use of fresh clean oil which ensured the crispness and non-stickiness of the yam and batter. 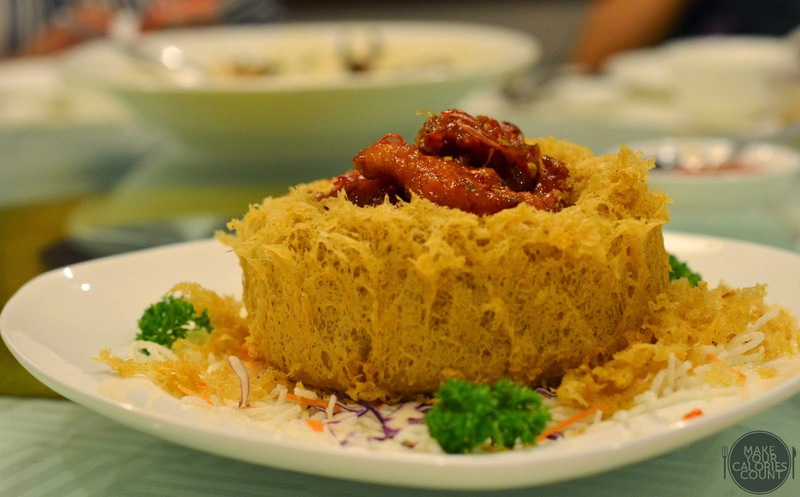 Most Chinese Singaporeans would be familiar with this dish but did you know that this classic deep-fried crispy yam ring is a local dish invented by Mr Hooi Kok Wai, one of the Four Culinary Heavenly Kings in Singapore. What intrigued us during the dinner was the romantic story behind this dish. Mr Hooi created this dish back in 1958 to win the heart of his wife, Mdm Leong Ah Lin and more importantly the approval to take care of her. Raised in a nunnery, Mdm Leong observed strict house rules and was forbidden to befriend men. 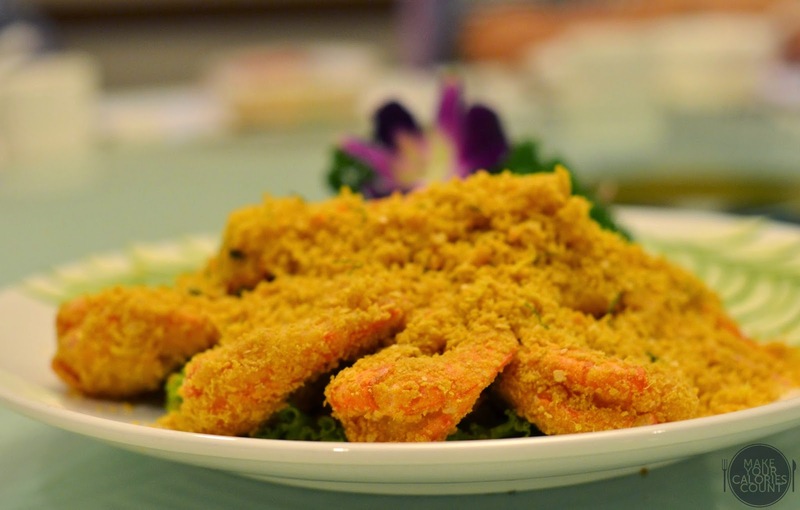 Inspired by the Buddhist's monk's alms bowl, Mr Hooi invented this deep-fried yam dish as a vegetarian offering to prove his worthiness for Mdm Leong's hand and eventually impressed the nuns. 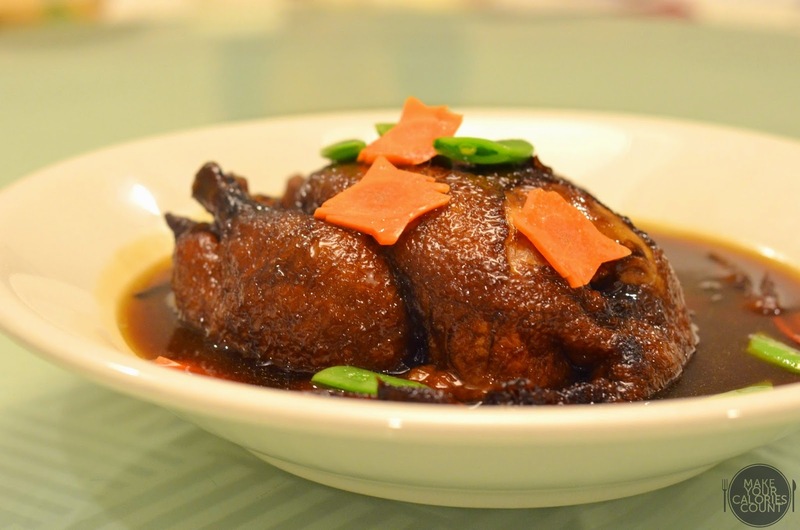 This dish has since seen various improvisations to be a dish that impresses diners' palates. 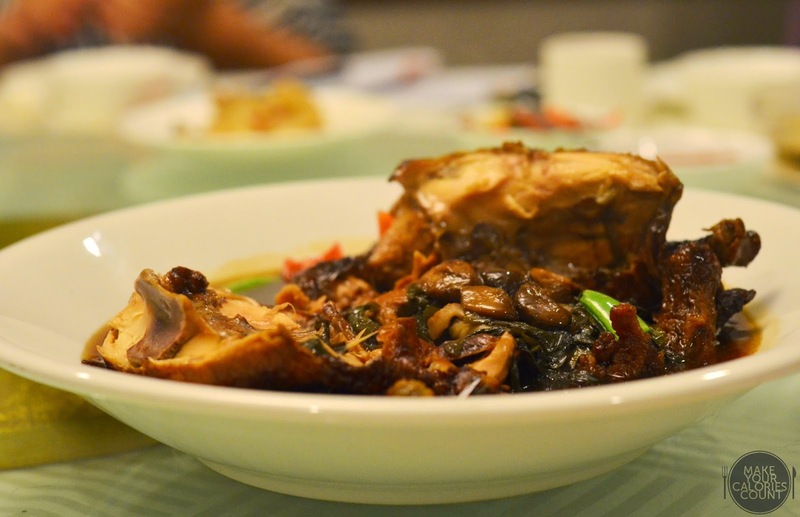 Stuffed with chives and garlic cloves before roasting, the chicken was then braised for three hours in superior oyster sauce. Complemented by garden greens such as sugar snap peas and carrots, it lent natural sweetness and crunch to the otherwise savoury earthy dish. The protein was tender soft and what you really need is a bowl of plain white rice to scoop up all that lovely sauce! 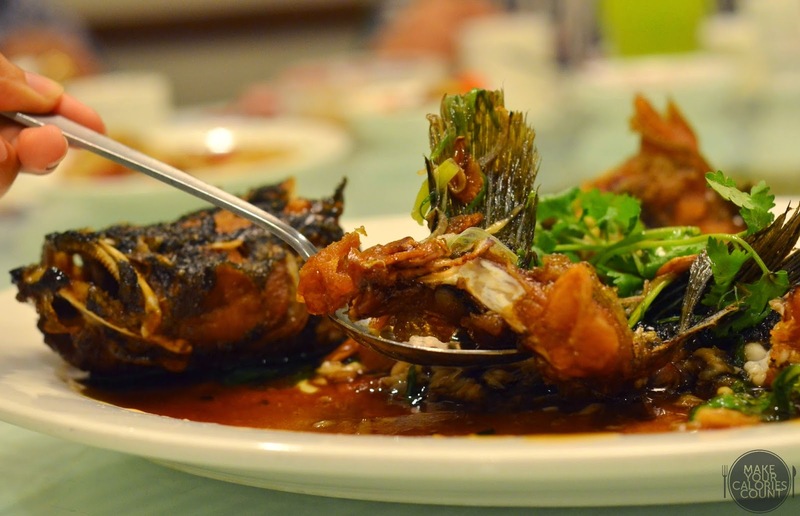 Gently coating the deep-fried crisp fish was the superior soy sauce which elevated the clean flavours of the premium fish. Every part of the fish was crisp and you could crunch through the bones with no problem. While deep-fried to a perfect crispness, the flesh remained moist and easily one of my favourite dishes. When it comes to fish dishes at Joyden, customers could take their pick at a range of live catches such as Soon Hock, Tiger Grouper, Sea Bass or Pomfret. 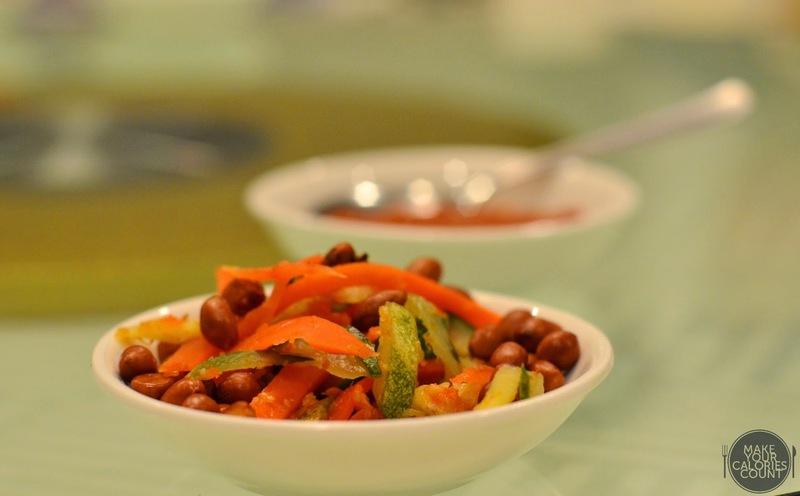 You could then choose from various preparation methods such as Signature Nonya Sauce, Fragrant Bean Crisps or even Preserved Radish and Minced Garlic. 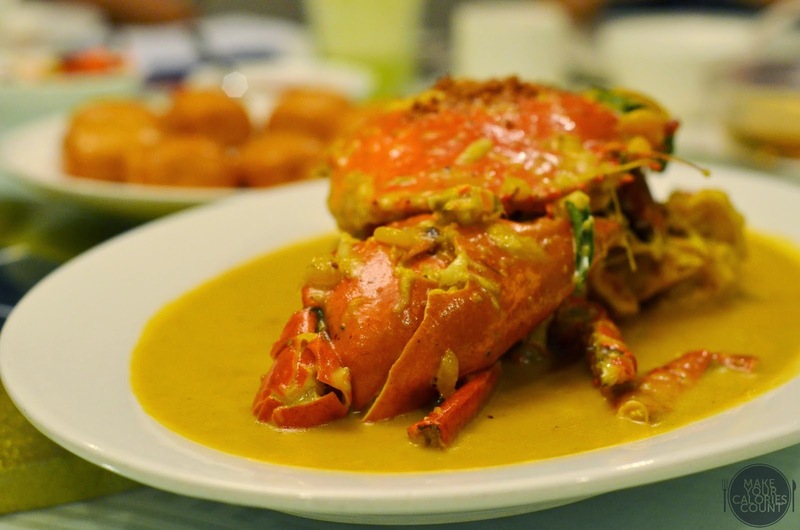 While most Singaporeans would be familiar with our classic Chilli Crabs or Black Pepper Crabs, Joyden took a twist with their Signature Creamy Crabs. Tasting that luscious and velvety sauce for the first time kept me coming for a second spoonful to define the complex elements in the dish. 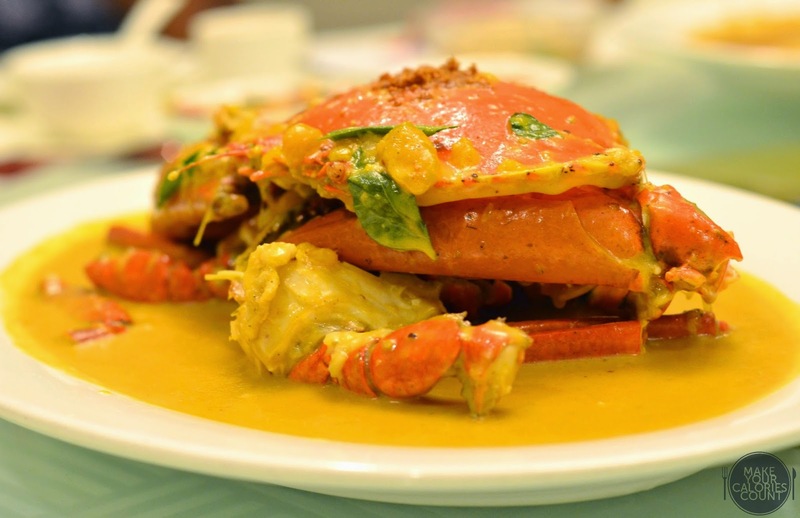 Soaked in a milk and pumpkin purée, the natural flavours of the steamed crabs were elevated by the infusion of curry leaves, chilli padi and black pepper for an extra punch. While the flavours were complex, it was surprisingly balanced with just the right amount of heat and sweetness. 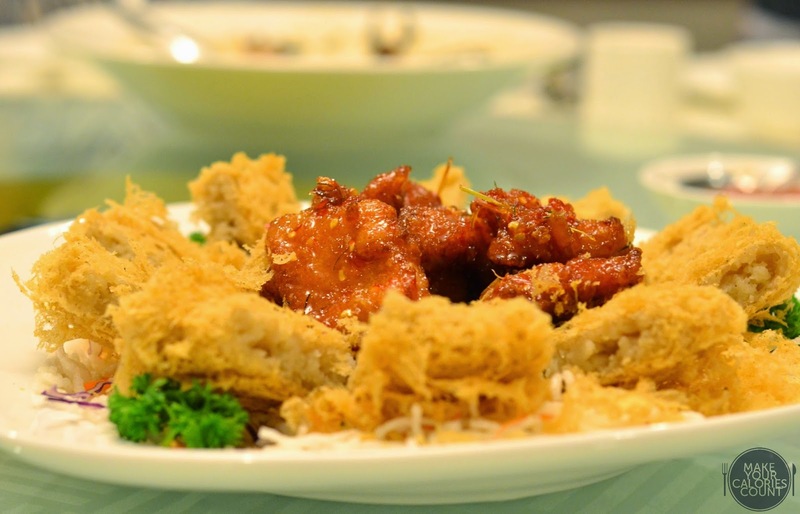 While the moist and tender soft crab meat went well with that beautiful sauce, be sure to order either the steamed or deep-fried mantous to soak up all that goodness! No meal is complete without desserts and we were served this classic Chinese dessert. Personally, I found the mango purée slightly too acidic and watery for my palate. 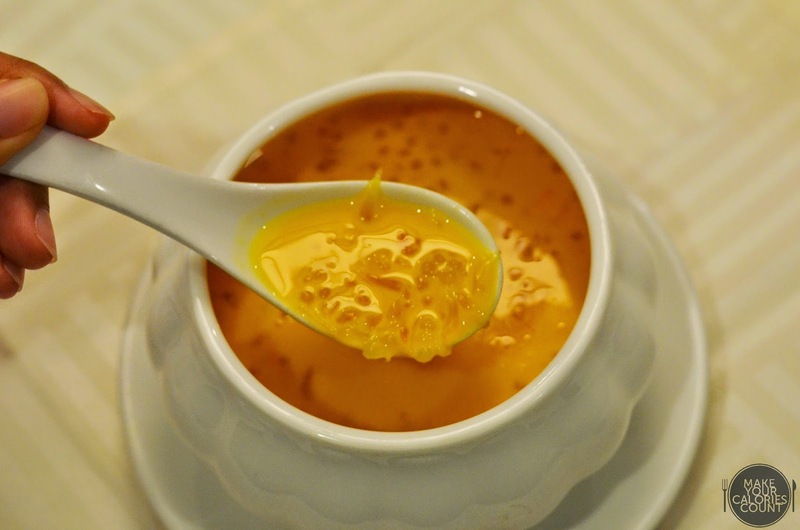 Could always opt for their Osmanthus and Wolfberry Jelly, another classic Chinese dessert to end the meal on a sweet offering! Offering at least 25 handmade dim sums daily, prices are highly affordable at about S$3.50 - S$4.50 each for most dishes and we were told that some must-tries include their bite-sized baked mini egg custard tart and salted egg custard buns! Part of the Joyden's F&B family is the Joyden Hall located conveniently at Bugis+ which offers a venue for performances and events. 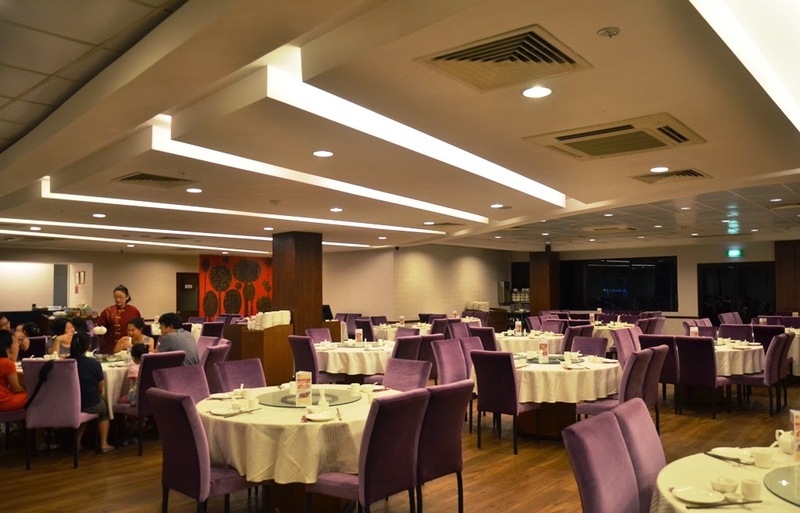 Joyden Seafood presents that cosy and homely vibe which makes it a perfect place for family dinners or gatherings. 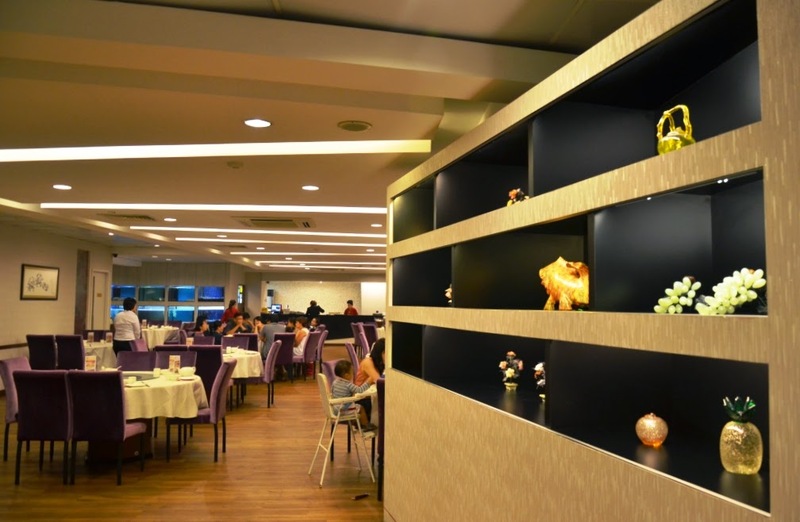 The restaurant underwent extensive renovation last year to offer a more modern look and feel of the place so as to attract the younger crowd too. Other than having an attentive service crew who would make sure that every diner's needs is well taken care of, prices of the seafood dishes are also highly competitive with market rates elsewhere. 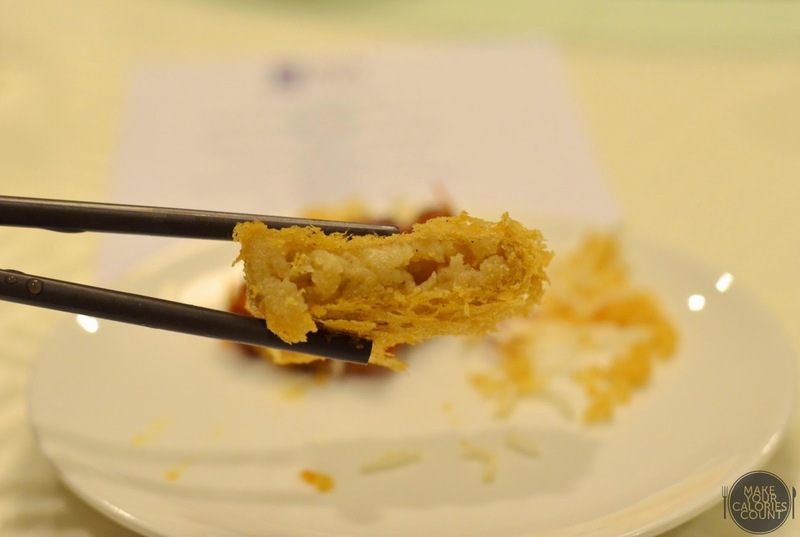 While we did not get to try their dim sum this time round, we were impressed with most of the signature dishes and would be returning sometime soon to give the dim sum a go! P.S: Special thanks to Veronica and Joyden Seafood for hosting us!